Adrian Conn's Double Genki with a tube tail. A very rare sight. 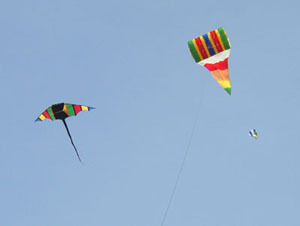 Two Adrian Conn creations flying side by side. 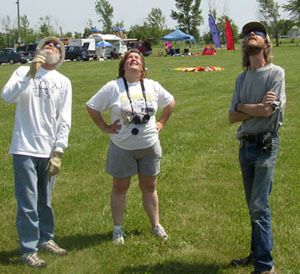 L-R: Adrian Conn, Karen and Larry Green. The "Maestro" and his "Protégés"! 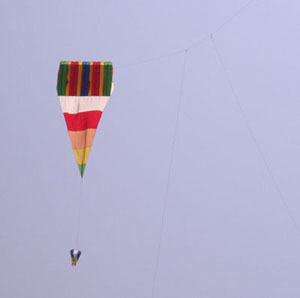 Larry and Karen Green's Cody War Kite. 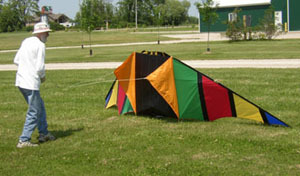 This kite, as far as I am concerned, is the finest Cody I've seen in years. 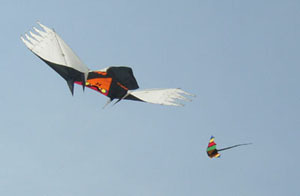 Larry and Karen's Vulture Genki and Adrian Conn's Sting Ray.